Curcurbits (Crop Group 9) include the melon subgroup (muskmelons and watermelons), and the squash subgroup (cucumbers and gourds, etc.) These crops are important in all regions. Asterisks indicate representative crops for the group. 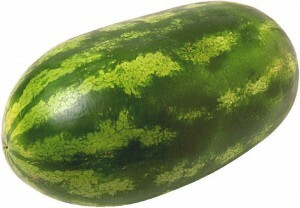 Watermelon*. Texas ranks second in U.S. production of watermelons with 40,000 to 60,000 acres with wide range of harvest and shipment dates. Commercial production uses plastic mulch and drip irrigation. Harvests start in early May in the LRGV, in June in the WG, July in East Texas, July through August in the Rolling Plains area, late summer/fall in the Cross Timbers/DeLeon area and in September and October in the Southern High Plains. Grower/shippers contract and manage sales into large metro areas and out-of-state shipments. 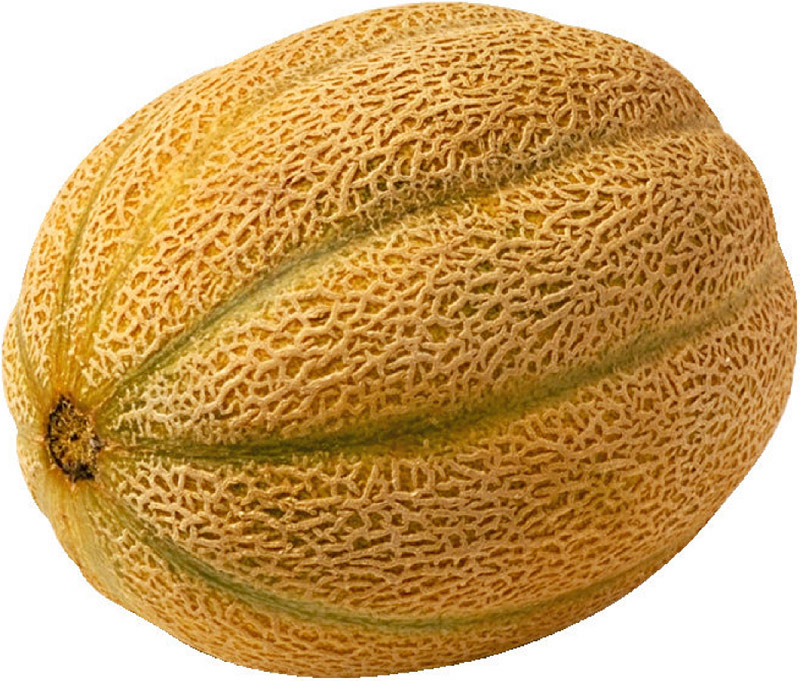 Roadside market melons come from smaller acreages and part-time farmers. Industry commodity groups are Texas/Oklahoma Watermelon Association and National Watermelon Promotion Board. Luling, Texas, a small town just south of Austin, holds the world’s largest festival dedicated to the watermelon. Insect pests include aphids, cucumber beetle, squash bug, white fly, and leaf miner. Weeds include annual broadleaf, and annual and perennial grasses. Diseases include gummy stem blight, anthracnose, powdery and downy mildews, wilt, Cercospora leaf spot, Alternaria leaf blight, leaf mosaic, virus complex, and bacterial fruit blotch. See watermelon crop profile or crop brief for more details on pests and pesticide use. Cucumber*. Texas is one of the top 10 cucumber producers. Planted in spring and fall on 8,000 to 14,000 acres. Once-over harvesting (86% of total crop) is for processing as pickles in Winter Garden area. About 2,000 acres planted for multiple hand-harvest of 8 to 10 inch “slicers” for fresh market sales. Commercial sales from LRGV and roadside sales in East Texas. Insect pests include aphids, leaf hoppers, whitefly, cabbage loopers, miners, and thrips. Weeds include annual grasses, broadleaves, and nutsedge. Diseases include Cercospora leaf spot, damping off, Fusarium wilt, gummy stem blight, powdery and downy mildews, virus complex, belly rot, and Pythium. Gourds. Edible and ornamental gourds are mostly produced in East Texas for local sales. 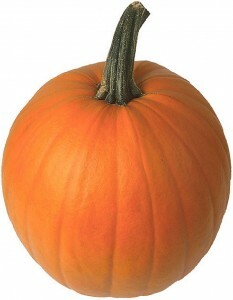 Gourds are colorful and vary in size and shape. Pests are similar to those in other cucurbit crops. Pumpkin. Commercial production is in High Plains near Floyada and Muleshoe. Grown in rotation with cotton and grain crops. Aerial applications of fungicides are required after 6 weeks since vines fill row middles and grow 2 to 5 feet high. Howden (45%) and Jack-O-Lanterns (40%) are the most common, with the smaller Sugar and Mini’s on 12% of the acres and 3% for Mammoths. Approximately 4,000 to 6,000 acres are harvested by hand in a month in late September and October with yields of 15 to 30 tons per acre. Wholesaled by the ton and retailed by the pound or piece. Floyada, Texas, is the world’s pumpkin capital. Insect pests include squash(ed) bugs, cucumber beetles, squash vine borer, and aphids. Weeds include pigweed, cocklebur, lanceleaf sage, devil’s claw, johnsongrass, nutsedge, and black and silver nightshade. Diseases include powdery mildew, anthracnose, angular leaf spot, gummy stem blight, Phytophthora fruit rot, and charcoal rot. See Pumpkin Crop Brief or crop profile for details on pests, production, and pesticide use. Squashes*. During early times in Texas, hard-shelled squashes and pumpkins were stored as an over-wintering food crop by Agrarian indians in East Texas. Tremendous genetic variation in size, shape and color of fruit. 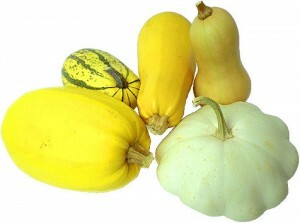 Today squash is grown for fresh market sales and home use. Types and acreage consists of summer squash (63%), zucchini (23%), acorn (4%), and the rest in crook neck, butternut, and winter squash in most all production regions. Insect pests are similar to those in pumpkin, cukes, and melons. Diseases include powdery and downy mildews, angular leaf spot, anthracnose, damping off, and gummy stem blight.